Dr Carl O Helvie will interview Dr Nathan Wei on the Holistic Health Show on BBS Radio (www.bbsradio.com) on Saturday, October 10 at 10 p.m. EST. Dr Wei will open the series on arthritis. Dr Wei received his education at Swarthmore College, Jefferson Medical College, the University of Michigan Medical Center and the National Institutes of Health. 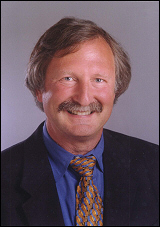 He is board certified in internal medicine, rheumatology, and densitometry. He is a fellow in the American College of Physicians and the American College of Rheumatology. a member of the Arthroscopy Association of North America, the International Society of Clinical Densitometry and the American society for Bone and Mineral Research. He is Clinical Director of the Arthritis ands Osteoporesis Center of Maryland where he had helped provide relief for over 7,000 patients with arthritis. Dr Wei is the author of more than 60 peer-reviewed literature, 500 published articles, has produced 12 videotape programs, presented over 120 lectures worldwide and has taught advanced courses in rheumatology.